Getting a speeding ticket in Iowa can be expensive, and not only because of the fine. Drivers in Iowa pay $168 in fees and court costs for a speeding ticket of 11 to 15 mph over the limit, according to the state’s Department of Public Safety. And perhaps most damaging of all, annual car insurance premiums can rise significantly. On average, Iowa drivers pay $786 for car insurance. After a single speeding ticket, annual car insurance premiums will increase by an average of $104.65, to $890.65 a year, according to a NerdWallet study. The infraction typically will stay on a driver’s record for three years, although the exact period may differ depending on the insurance carrier. Over a three-year period, a driver will have spent an average of $313.95 in additional car insurance costs. The true cost of a speeding ticket in Iowa, including fines and the average insurance premium increase over three years, is $481.95. In addition to police patrols, drivers in Iowa need to be aware of automated traffic enforcement cameras that can detect speeding vehicles and automatically issue citations. Recently, the effectiveness of these cameras has been called into question. The state Department of Transportation, which says some cameras aren’t needed for safety reasons, has ordered the shutdown of 10 of 34 enforcement cameras on or near state highways. The average Iowa driver’s car insurance rate goes up 13.3% after a single speeding ticket. All Iowa drivers face the same speeding ticket fine of $168, but the true cost of a speeding ticket varies depending on location. Not all drivers face the same insurance increases. After three years, drivers in Council Bluffs will pay $124.83 more than those in Knoxville. Four of the top 10 most expensive places to get a speeding ticket — Des Moines, West Des Moines, Pleasant Hill and Urbandale — are in Polk County, the state’s most populous county. What should you do if you receive a speeding ticket in Iowa? Drivers have three options after receiving a speeding ticket. Drivers won’t receive a point against their record for minor offenses, such as speeding. The point system used by Iowa’s Department of Motor Vehicles isn’t traditional, so drivers receive points only for serious infractions. In most cases, drivers cannot decrease the fine or erase the cost of a speeding ticket without disputing it in court. If you receive a conviction, it may be a good idea to compare car insurance quotes. Insurance companies weigh traffic violations differently, so your current carrier may not be the cheapest. Regardless of your driving record, signing up for a driver’s education course can help you become a safer driver and avoid speeding violations. Hawkeye Community College in Waterloo, for example, offers defensive driving classes that teach beginners and experienced drivers how to safely navigate the roads. Insurance providers may give drivers discounts for completing a course. Council Bluffs drivers face the highest true cost of speeding if they receive a ticket. On average, their annual car insurance premium will increase from $921.60 to $1,052.50, an increase of $130.90, or 14.2%. Over the course of three years, drivers can expect to pay $392.70 more on car insurance. After a speeding ticket, the average Bettendorf driver will pay $128.50 more for annual car insurance, from an average of $814.67 to $943.17. Of the places analyzed, Bettendorf drivers face the highest percentage increase in car insurance at 15.8%. Since insurance increases usually last for three years, drivers will end up spending $385.50 more on car insurance. The average car insurance premium for Sioux City drivers is $881.69. After a 15 mph speeding ticket, drivers will spend $127.91 more on car insurance. After three years — the typical amount of time a speeding violation stays on your record in Iowa — drivers in Sioux City will have paid $383.73. Drivers in Des Moines will see their car insurance increase from $844.37 to $965.64 each year after a 15 mph speeding ticket. Des Moines drivers will have paid $363.81 in extra car insurance costs over three years. After a speeding ticket, drivers in Davenport will see a 14.4% increase in their car insurance premium — from an average annual cost of $840.06 to $960.63. Increases last three years, and over that time drivers will spend $361.71. The average Pleasant Hill driver pays $787.13 for car insurance each year. After a speeding ticket, they can expect to pay a $905.21, a $118.08 increase. Over the span of three years, speeding drivers will have spent an additional $354.24 in insurance costs. After a speeding ticket, Urbandale drivers’ average annual insurance premium will increase 15.4%, from $758.31 to $875.06. After three years, drivers will spend $350.25. Dubuque drivers pay an average car insurance premium of $792.83 and an average $907.90 after a speeding citation. Over the course of three years, the Dubuque drivers spend $345.21 more on car insurance after a ticket. On average, a driver with a clean record in West Des Moines spends $766 a year on car insurance. After a speeding ticket, they can expect a 14.6% increase to $877.58 a year. This annual increase of $111.58 adds up to $334.74 after three years. After a speeding ticket, the average Boone driver faces an insurance premium increase from $746.40 to $857.29 a year. After three years of insurance increases at $110.89 a year, and the $168 speeding ticket, Boone drivers can expect to pay $500.67. To determine the average insurance premium increases, we retrieved quotes for eight different driver profiles in Iowa: 27-year-old single men and women and 40-year-old married men and women each driving a Toyota Camry and a Ford Escape. 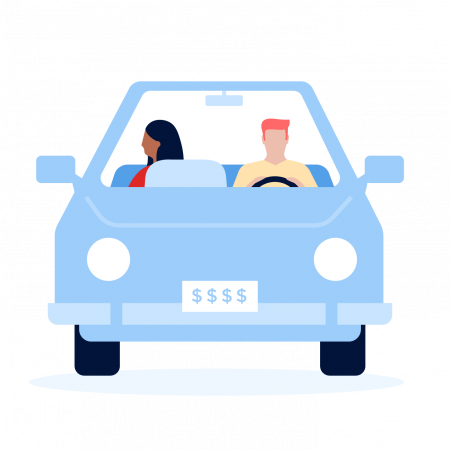 For each driver profile, we chose every city’s three cheapest car insurance quotes to mimic consumer behavior and to determine our overall average. We surveyed places with populations over 5,000 residents only. All demographic data comes from the U.S. Census Bureau. We calculated the total cost of a ticket for exceeding the speed limit by 11 to 15 mph by adding the cost of state-mandated fines and court costs to three years of car insurance increases. The estimated costs are for illustrative purposes only. The actual insurance increases you face will vary depending on your insurance carrier, your location and other factors. Car insurance premium data are from NerdWallet’s car insurance comparison tool. 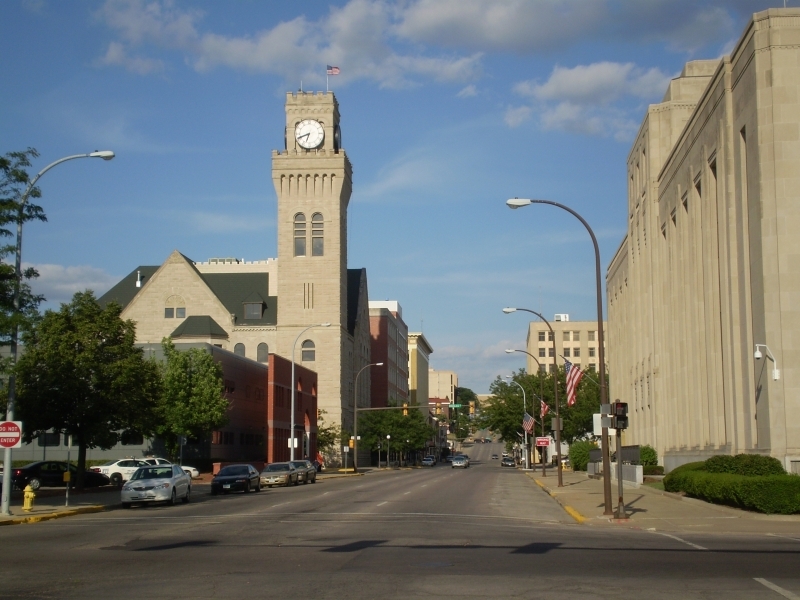 Downtown Sioux City, Iowa, image via iStock.